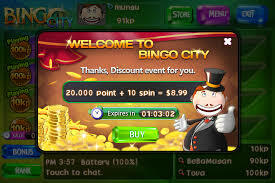 In Bingo City Live HD you can play Bingo in multiple rooms and with multiple cards. This way it’s certainly possible for you to not only win in one room with one card, but in multiple rooms! You can even play with friends by connecting the game to Facebook. Fungrep, a company founded and based in Korea, has been active since 2009. That’s 6 years of experience and hard work! This shows in the games they have published, because all of them have been successful. 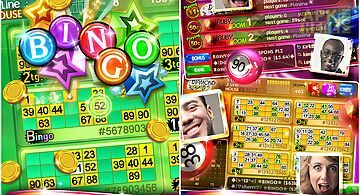 Fungrep is not only the publisher of Bingo City Live HD, but is also known for games such as “Bingo 90 Live HD” and “Square Hexxagon”. • Don’t like your card? No worries, easily switch out cards you don’t like and/or want by pressing “Get New Card”. 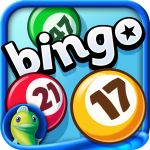 • Play the Vegas slot mini-game to pass the time or to give your mind a break from strenuous Bingo activities! • This game has multiple jackpots that are up for grabs. 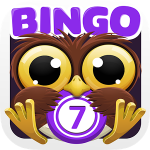 • After someone calls Bingo, other players will be given five extra balls. This way it’s much easier to get a Bingo yourself as well. 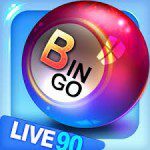 • The game Bingo City Live HD is available for Android as well as iOS. • A variety of packs, i.e. “Expert Pack”, “Newbie Pack” or a “Beginner Pack”. • “Game Hint for 7 Days”.